Camp Dror, the Orthodox Union’s (OU) summer camp in Israel, has teamed with Yachad, OU’s National Jewish Council for Disabilities, to offer a new program for campers with disabilities that encourages integration and inclusiveness for children with disabilities while building a sense of unity and caring among all campers. This unforgettable experience will provide a unique combination of summer fun, Zionism and Torah learning, completely accessible to campers with and without disabilities. Campers with disabilities will be fully integrated into every activity at the camp. All will bunk together and participate in activities side by side. Campers in the Camp Dror program receive an individually tailored amount of advocacy and support, making the program a huge opportunity for maximizing each camper’s potential. Camp Dror is a sleepaway camp located on the Golan Heights. Camp runs for two and a half weeks this summer, from July 3 through July 19, 2018, for boys and girls from Israel and around the world entering grades 6 through 10. The boys’ camp is located in Hispin and the girls’ in Moshav Keshet. Jewish spiritual growth and learning are integral elements of the camp program, and campers participate in hiking, kayaking, Chesed projects, swimming, sports, arts and crafts, and much more. Campers learn about themselves, their heritage and homeland, and about other Jewish communities and traditions. The new program exemplifies Shiluv, Hebrew for inclusion, an essential element of Camp Dror’s values and commitment to welcoming all members of the Jewish Family. “Mirroring the Jewish people, our camp is one big family,” said Chaim Pelzner, Programs Director of OU Israel. “In each family there are children who are different. We need to learn to respect everyone on their own terms, and like a family we must always keep together,” he explained. Israelis with disabilities. 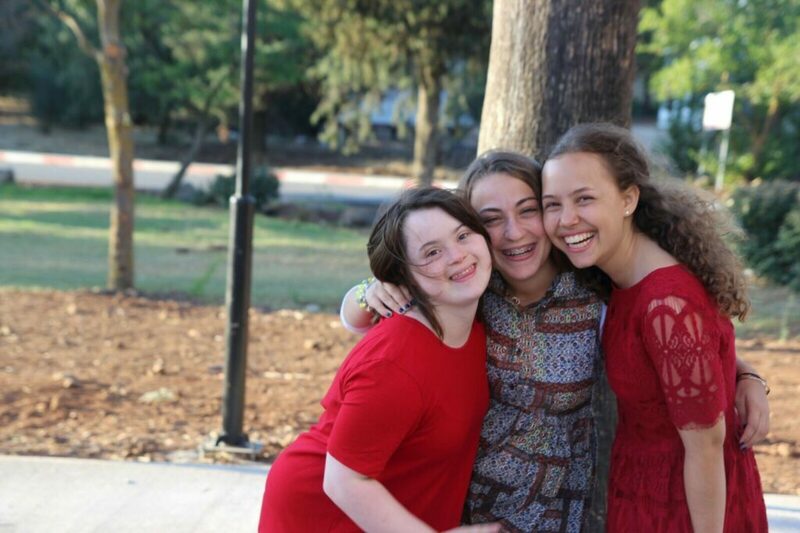 These offerings are vital to the mission of Yachad because they allow young Jews with disabilities to truly experience life as their peers do while forming deep bonds with Eretz Yisrael as all Jews should. Contact Pearli Brown at BrownP@ou.org or (054) 929-1540 for more information on the Yachad and Camp Dror partnership.